Marvel announced on Monday that they are teaming up with Riot Games to make the first-ever full-length League of Legends graphic novel based on the game. Beginning in December, the series will follow one of the game’s first heroes, Ashe, the Iceborn warmother. 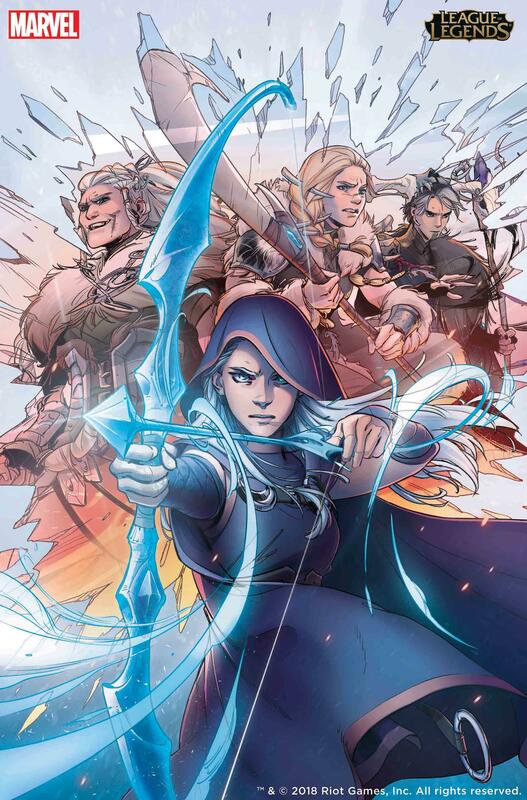 The comic will serve as the origin story fans have been waiting for, as League of Legends: Ashe: Warmother sees the titular character in a leadership role. Ever since she was able to pull a bow from the ice, Ashe’s tribe has believed she’s the reincarnation of the legendary Avarosa. It seems that Ashe’s primary conflict will be striking a balance between appeasing her radical mother and serving those who call her the Avarosan hero. Penning the series is Riot Games veteran Odin Austin Shafer. This is the first comic he’s written, but Shafer has plenty of experience with writing: He’s the Senior Narrative Designer at Riot, which means he’s involved in creating new heroes, as well as developing short stories that provide background for each playable character. Nina Vakueva, nominee for The Russ Manning Most Promising Newcomer Award, will provide art for the series. Fans of BOOM! Studios’ Heavy Vinyl will recognize Vakueva’s style. Meanwhile, lettering is done by Cardinal Rae, who’s also worked on Image’s Rose and Crowded. League of Legends: Ashe: Warmother starts as a monthly series on Dec. 19 of this year and will be released as a collected graphic novel in May 2019.